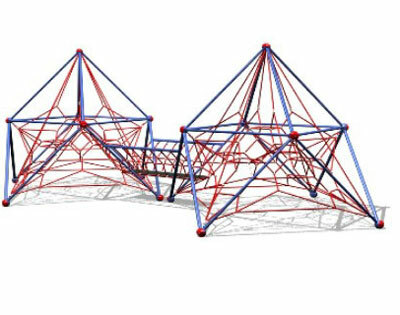 Dynamo Industries has been revolutionizing the playground industry with cutting-edge rotational games and climbing structures. In addition to our play structure innovation, new for 2005 Dynamo has introduced the most authentic line of climbing boulders available today. Combining the fun of climbing with the thrill of motion, our dynamic games and playgrounds incorporate elements of movement, balance, exercise and teamwork while exceeding the requirements of today's heightened safety concerns. 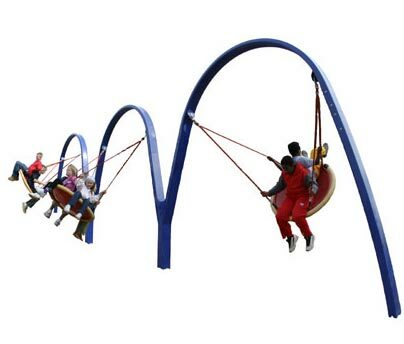 Our Biggo swings are designed to give children the thrill of swinging, while also allowing them to share it with up to three of their friends. 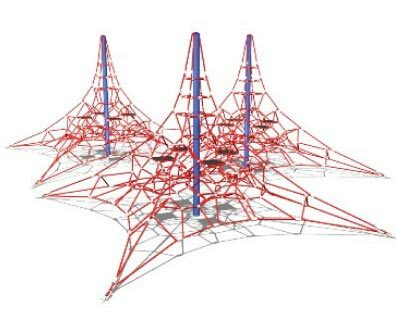 The Trident series is a triple pyramid-style climbing structure featuring three climbing nets joined together. 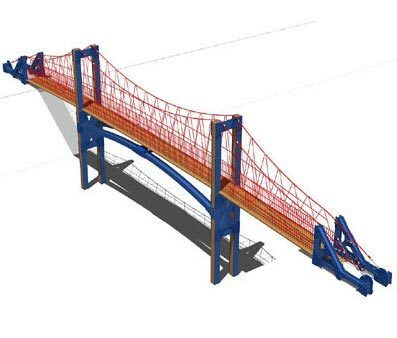 Our custom pedestrian bridges are designed specifically to bring people together. Playgrounds: Climbers; Rotating Games; Swings; Climbing Boulders; Jumping Games; and Basketball. Custom Pedestrian Bridges + Designer Fencing.